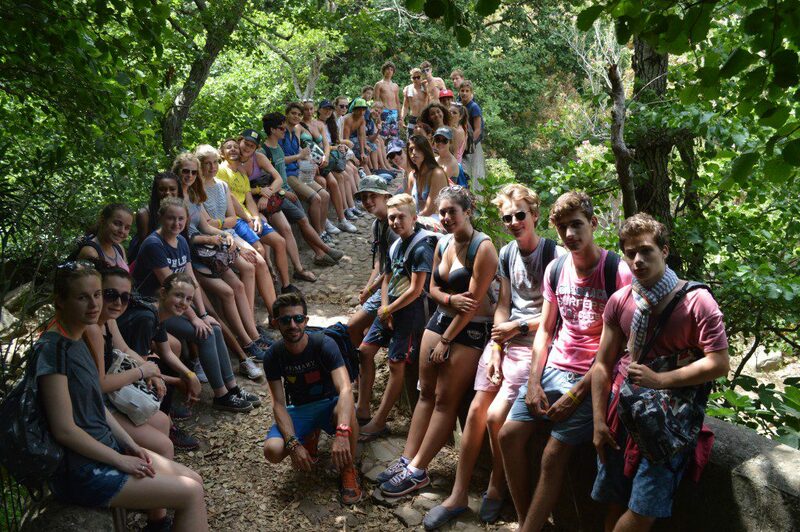 Lenguaventura is a summer camp for teenagers aged 14-17 years which takes place every summer in Tarifa, Spain. 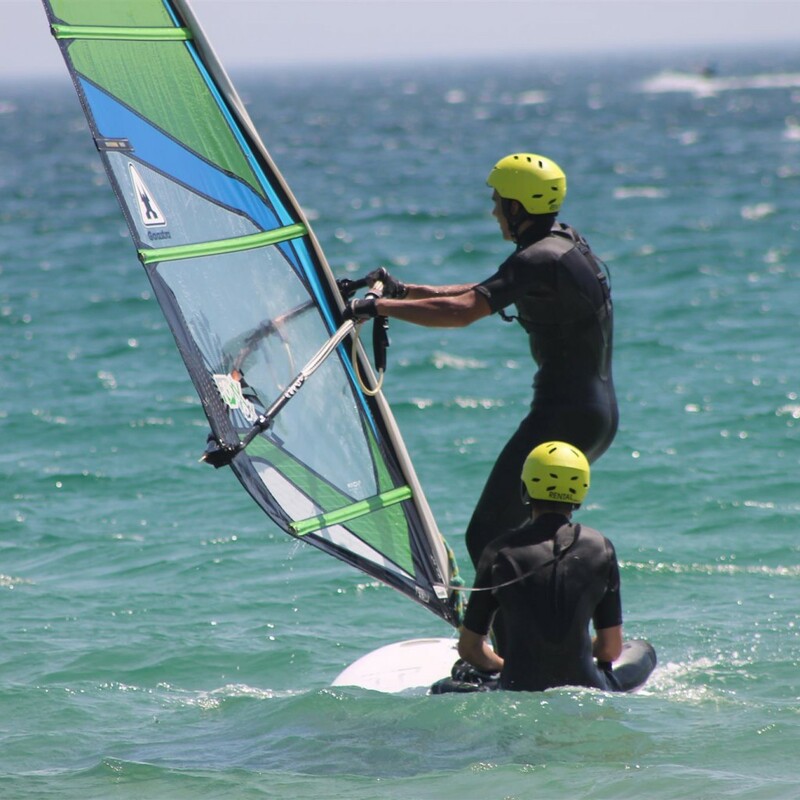 The activities we offer are windsurfing, kitesurfing and adventure during our uniquely designed Spain summer camps. Tarifa is perfect for year-round watersports as the warm climate and high winds are well-suited to each of our activities. In fact, Tarifa is one of the best places for watersports in the world! You can ensure your sons and daughters have a fun-filled, independent and productive summer, with the opportunity to learn new skills and experiences; practice their English and Spanish language and gain self confidence by meeting new people and new friends, all in a safe and comfortable international environment. Our kitesurfing summer camp is a fantastic way for your teenager to learn a super fun sport that develops fitness, endurance and coordination, under the azure Spanish sky in crystal clear waters. The kitesurfing classes take place in the afternoons and your teenagers can enjoy 12 or 16 hours of kitesurfing per week, between Monday and Friday. Wednesdays are reserved for whole day excursions. The kitesurfing classes are held on several levels, from beginners tutorials, to advanced skilled levels and everything in between! Kitesurfing is a very safe sport but to ensure ultimate safety and responsibility, each of our teenagers is supervised by one professional kitesurfing instructor in groups of four students. In this group your son or daughter will share a kite with one other person and take it in turns to practice kitesurfing during the three or four hour afternoon watersports sessions, giving them the chance to work as a team and improve their skills. We also offer more intensive semi-private courses of two teenagers per instructor, with one kite each, for kitesurfing sessions also on Mondays, Tuesdays, Thursdays and Fridays, lasting three hours. 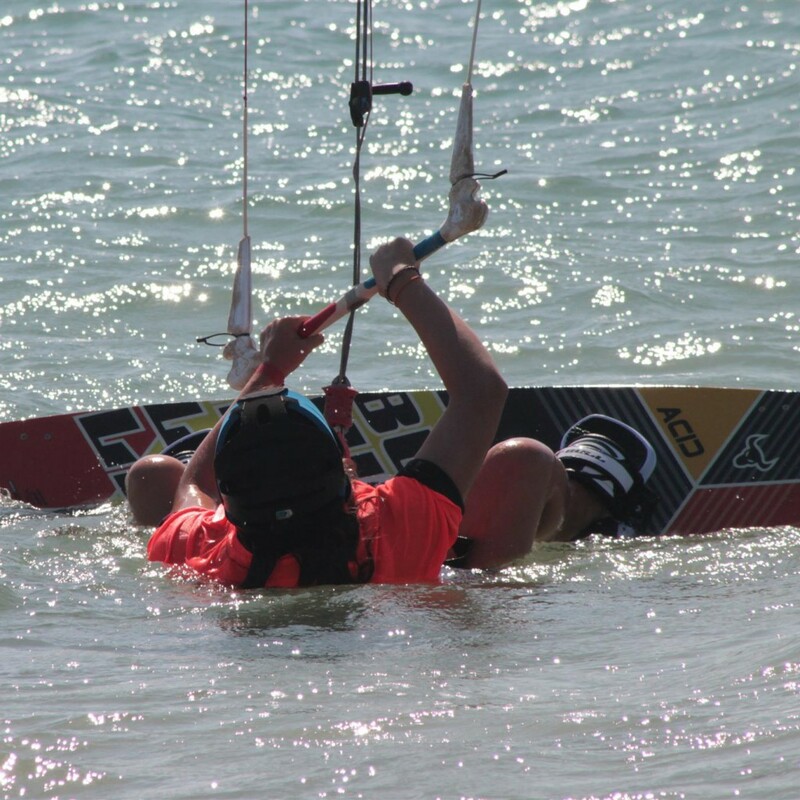 Both of our courses are held on different kitesurfing levels from beginner to advanced. For more experienced kitesurfers we offer the opportunity to participate in our Kitesurfing summer camp. If your child can ride independently, then we allow them to hire kitesurfing equipment and practice independently under the supervision of a qualified instructor ashore, while their friends have lessons. Due to Tarifa’s year-round warm and windy climate, it’s attracted windsurfers since the very beginning, meaning Tarifa is home to the most highly qualified and professional windsurfing schools in the world! Where could be a better place for you teenagers to learn the sport? The windsurfing summer camp is run in alliance with the leading windsurf school in Tarifa, Spin Out. Lessons take place on four afternoons a week (eight hours per week) at the beautiful windsurfing beach, Valdevaqueros. All the required material is included on the course, thus always ensuring that the students get the right windsurfing equipment for all possible wind conditions. Our courses cover every windsurfing skill level so your teenager is welcome whether they are a beginner, have experience of windsurfing or are a highly skilled windsurfer. Our Adventure camp boasts a series of action filled experiences curated specifically for teenagers who love adventure. If your son or daughter enjoys the outdoors and the wonders of nature then our Adventure Camp paves the way for them to become more caring and conscious of the environment and to learn some valuable life skills. Our campers can also earn an Eco-Citizen award, making it a highly rewarding experience. Some of the activities and skills our campers will learn are: orienteering; building driftwood rafts; exploring waterfalls; making survival shelters; living like the ancestors or tracking skills. Some of the activities take place on Tarifa’s stunning beaches as well as in undiscovered nature on a river beneath the trees. We aim to divide our summer camps with an equal amount of fun, learning and confidence building so that teenagers leave us after the summer having had a wonderful personal development experience. Alongside our energetic watersports and adventures sessions, we also include English and Spanish lessons which enable our students to develop their international language skills. Our Spanish and English lessons take place on Mondays, Tuesdays, Thursdays and Fridays in the morning and last for three hours (total of 12 hours per week). Our students greatly enjoy the language classes as it enables them to communicate confidently with their peers in the camp inside and outside the classroom. Using the language skills most of our students have already learnt in school, we teach in a slightly different way to the standard curriculum as we encourage our students to use free speaking to build up their vocabulary in conversations with their peers. Our teachers are multi-lingual filologs with a deep comprehension of each language so we are able to spot any difficulties at the beginning. The language levels we offer are A1-C1. Irene Weiss from Switzerland has been running the Lenguaventura Spain summer camps in Tarifa for since 2003 alongside some group leaders. We are passionate individuals and keen travellers and years of working together during our summer camps and school projects has united us as one family. Irene brings stability, organisational skills and excellent problem solving skills and is always available to speak to parents. The group leaders bring pedagogical skills, creativity, empathy, patience and most importantly a fun and cheerful mood! Our team is constant and stable and each year some our group leaders return to the camp for another summer of adventure, sports and fun! We trust one another completely and work well together, as our unique strengths complement each other to make us a well-rounded team. Our Spain summer camps are all inclusive meaning you needn’t worry about a thing! We offer airport pick up and drop off to suit your child’s flight times by our experienced team members so our teenagers will be supervised from the moment they land here in Spain, ensuing their safe arrival and return. The type of accommodation our Spain summer camps offer are cabins of different sizes . The infrastructure is adapted to comply with all requirements for a summer camp. The teenagers will sleep in cabins, boys and girls are located in different zones. Friends or siblings of the same gender can stay in the same room. At parent’s request friends or siblings can be accommodated in different rooms to encourage socialising. The normal procedure for the allocation is however the age, the gender and different nationalities, always if it is possible. Our accommodation facilities include classrooms, a room for performances, a huge outdoor area for football, basketball and other sports as well as performances, a swimming pool, ping-pong tables, a reception area for information and a lounge with wifi. The professionally trained staff in our kitchen prepare fresh, healthy food daily and adhere to all specific dietary requirements. We also provide bedlinen and towels so no sleeping bags are required for our campers. We wash the clothes of our campers several times a week in our dedicated laundry room and the dormitories and communal areas are cleaned several days a week. Our camps in Tarifa usually run between two weeks to four weeks each summer, so you and your son and daughter can choose which option would be best for them. Please ask if you’d like a one week summer camp for your child and we will do our best to accommodate this. All three of our activities be it kitesurfing, windsurfing or adventure, take place on four afternoons in the week. Wednesdays and Saturdays are dedicated to whole-day excursions, getting together each of our campers from all activities. The idea behind this break from the usual activity is that the whole group undertakes a fun adventure together encouraging socialising and allowing everyone to get to each other whilst practicing Spanish or English language skills. Tarifa is a safe area, with a close community and a very low crime rate. We know it’s always a worry sending you children away from home but you can be sure your children will be as safe as they can be at our Spain summer camps! Each day the weather and wind conditions are checked by our professionals to ensure the conditions are safe for the teenagers to practice in. If we deem the weather unsuitable at any time, the kitesurfing or windsurfing sessions will be moved to an alternative time-slot later in the week, so your children will not miss out on their sports time. We have a strict no alcohol and drugs policy at the Spain summer camps ensuring your children are safe at all times. In the event that we should discover the teens consuming alcohol or drugs, we would inform parents immediately and the campers responsible would be sent home.